All of the sign sizes and shapes that we offer are listed on the website. We are always adding new items to our product line so please let us know what you would like to see in the future by sending us an inquiry via the Support page on the website. 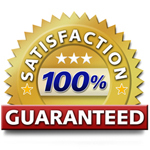 • Easy Signs FL will give 60 day guarantee warrants that products do not contain manufacturing defects, and, if the product fails due to a manufacturing defect during the 60 day time period, Easy signs FL will replace the product for you. • Easy signs FL reserves the right to investigate the claim and determine whether or not the failed product is covered by our guarantee. • Posts, frames and stakes may be added to the shopping cart separately and can be found in the ‘Accessories / Add-ons’ section. All posts, frames and stakes are shipped separately. and stakes may be added to the shopping cart separately and can be found in the ‘Accessories / Add-ons’ section. All posts, frames and stakes are shipped separately. • we provide grommets on banners at no extra charge. • We do it for you. Double-sided signs with arrows will automatically adjust so that the arrows point people in the same direction when viewed from either side. If you’re using a photograph, then you should use a good resolution JPG image (150 dpi). upload highest quality image with a file size less than 4 Megabytes (4 MB). Most orders are processed and shipped out of our facilities within 3-5 business days. For example, an order submitted at 3pm Eastern Time on Monday will leave our facility that Thursday. Any order submitted after 5pm Eastern time is considered submitted on the following business day. Some orders may take longer than 3-5 business days to process due to the color, material, quantity or type of sign. Banner orders may take 3-5 days in production. We offer several shipping options to accommodate urgent orders. You may select your preferred shipping method during checkout. Order production may be expedited by choosing the “Expedite my order” option provided at the final stage of checkout. The price for expediting your order depends on the amount of items ordered. Your order will move to the top of the production queue, for the fastest possible completion time. May I use a credit card with someone else’s name? Size – Our signs come in many different sizes to accommodate your needs. The general rule is, the larger the sign, the more it costs. Number of Colors – Full color this will not be a factor. Quantity – The more you buy, the less they cost. We are constantly improving our pricing to allow the maximum discounts to customers who purchase multiple signs. We believe strongly that quantity discounts are very important when trying to get your message out to as many people as possible. Material – We offer signs in a variety of materials to help you make a sign that fits your need. We currently offer signs in Aluminum, Corrugated Plastic, PVC Board, Magnetic, and Banner . Following is a brief description of each of our materials. Aluminum – Aluminum signs are the most durable and longest lasting type of yard and window sign. They are more expensive than their non-metal counterparts, but they make up for it in durability, quality and appearance. They are a perfect fit for a metal frame of the proper size. Corrugated Plastic – These inexpensive signs are great for outdoor advertising. Whether you are selling a house, expressing your political views, or running a business, these signs make it cheap and easy to get your name out. These signs aren’t as durable as Aluminum, but they are the least-expensive quality yard sign available. They are compatible with wire stakes and metal frames of the proper size. PVC Board – perfect for out door sign. It looks good, and is also inexpensive, making it ideal for advertising specials, openings, and other time sensitive advertisements. Magnetic – Magnetics are a fantastic way to advertise your business while you are on the road. Let everyone in traffic see what a great business you have as they are traveling about town. And what else is great about Magnetics? Just throw them in your car or truck when you are done using them or don’t want people to see them anymore! Magnetics are available in mulitple sizes to fit any sized automobile. Banner – Banners are great for distance advertising. Other sign types are limited by size and make it hard to catch the attention of those far away, but not Banners. The most popular Banner size is 3ft x 8ft which is ideal for stores, parties, conventions and other locations where your sign needs to be read from a distance. Banners tend to be more expensive due to their size and material, but are a must if you need to grab customers or individuals from far away.